LONG BRANCH, NJ – Recycled rubber provider Monmouth Rubber & Plastics Corp. has been re-certified to ISO 9001:2008 standards. 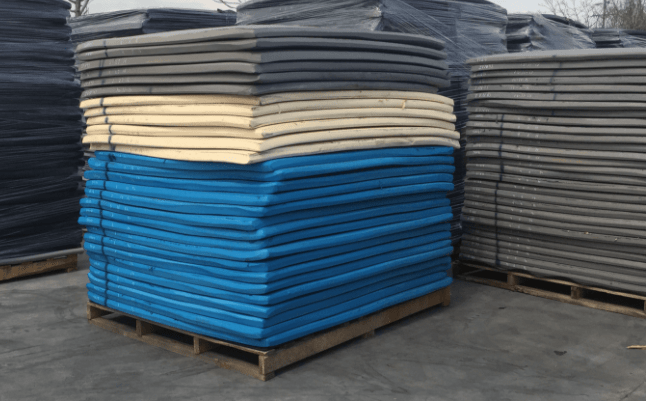 The re- Certification is equally exciting, Bonforte said, because it serves as a prelude to a major expansion at Monmouth, which manufactures and distributes a wide range of closed cell sponge rubber and plastic foam, in addition to its Bondaflex recycled rubber products. A complete announcement of the expansion is expected this fall, Bonforte said. Company founder John M. Bonforte Sr. said his original decision to seek ISO certification diverged from the motivation often cited by other manufacturers. While many companies pursue ISO as a path to gain business from auto makers, Monmouth sought a different benefit. “In a small company, where you feel like one big family, it’s sometimes hard for the owner to instill, inflict, enforce the necessary discipline,” Bonforte Sr. explained. “But ISO provides an independent opinion as to what a company’s internal discipline should be”. “When you adhere to ISO standards, everybody works from the same sheet of music, supplied by a third party that speaks with authority and without bias,” he said. “ISO certification has changed the whole character of our business,” Bonforte Jr. said. In fact, Monmouth has become so committed to the international standards that it invites an independent ISO auditor, Rick Casswell, to visit the company each month and provide feedback on Monmouth’s success at adhering to the standards.